You may not have realized it, but the war for the title of best pizza has been raging worldwide for decades. Pizzas all over the world have claimed the title unofficially, and competitions have tried to set the record straight. Still, doubts persist, bold claims are made, and the champion of pizza supremacy is uncertain. For those who need to judge for themselves, here are the top competitors for best pizza in the world. Take a world tour of fantastic pizzas and settle the question once and for all! The birthplace of pizza remains a controversy. Most people consider it to be a traditionally Italian meal, while others have claimed the idea originated in Greece, Egypt, Persia, even China. What is certain is that the most popular and enduring recipe for pizza, the world over, is the Neapolitan pizza: pizza dough topped with tomato sauce and mozzarella. If you’re looking for an authentic pizza made with homemade tomato sauce, topped with buffalo mozzarella and fired in a 900 degree wood-oven, then head to Antica Pizzeria da Michele in Naples, Italy. This incredibly popular pizzeria always has a lineup and has been featured in the Julia Roberts film Eat, Pray, Love. If you’re a modern pizza lover, you might lust after that deep dish pizza, smothered in cheese and deliciously paired toppings. For you, Chicago is the mecca of pizza perfection. In Chi town, pizzas have a crispy layer of dough on the bottom that stretches up the sides of the pizza pan to keep in the layers of cheese, topped with meat and vegetables, and crowned with chunky tomato sauce. Pizzeria Uno made the first Chicago deep-dish pizza in 1943 and they’re still churning them out today. Lou Malnati’s Pizzeria has also been touted as the place to find the world’s best deep dish pizza. In the world of American pizza supremacy, New York has long opposed Chicago’s position as number one. In a city with millions of people, countless restaurants and innumerable passionate Italian-Americans, you can bet there are a slew of pizzerias that can contend. Totonnos is the oldest continuously operating pizzeria (with the same family owners) in the United States. This place closes when they run out of dough, which is why it’s often hopping at 11am. At John’s Pizzeria in Greenwich Village, people line up for a taste of the coal-fired “perfect pizza”. No slices here – established in 1929, they’re slinging full pies only. 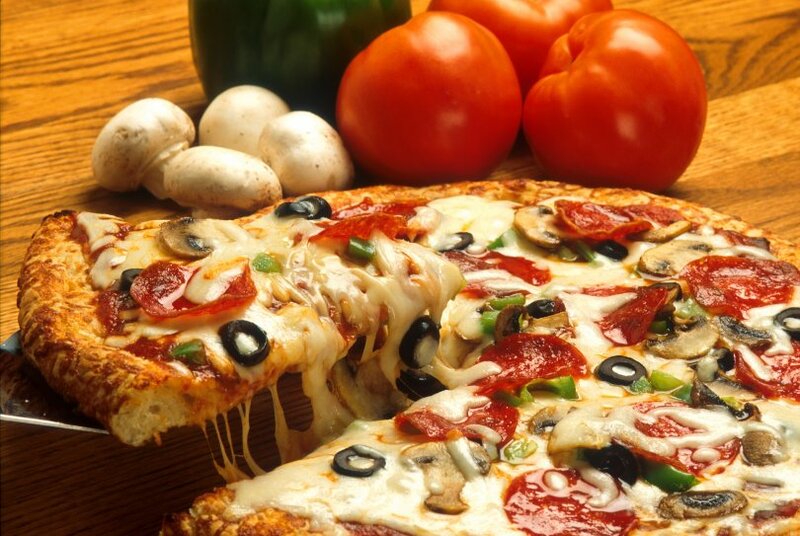 In Sao Paulo, Brazil eating pizza on Sundays is a popular tradition. As a country that has welcomed plenty of Italian immigrants over the years, it’s not surprising that pizza has become part of the local culture (July 10 is Pizza Day!) If you’re looking for unique toppings (hard boiled eggs, anyone?) and lightly-sauced pies (a Sao Paulo preference), check out Braz, where you pay a set price and eat all you can!